Details : A newly opened park in 2017, set in a stunning location in the Staffordshire countryside. Completely secure with electric, coded gates for your security. This immaculate park has hard standing, water, electric hook up, emptying point, fire safety point and is floodlit at night. 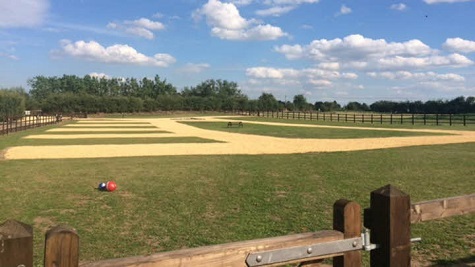 The site is dog friendly with a dog walking park. 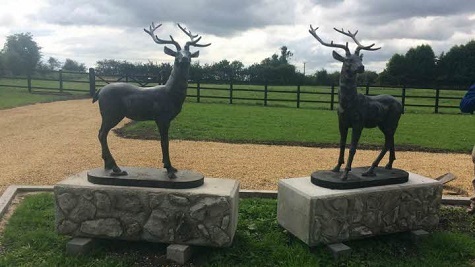 There are also many attractions in the local area; The Staffordshire County Showground with a monthly antiques fair and many other events all year round. The Trent and Mersey Canal, Limestone Brewery, Isaac Walton cottage, Trentham Gardens shopping center, Alton Towers, Waterworld in Stoke-on-Trent, World of Wedgewood and Westport lake visitors centre. 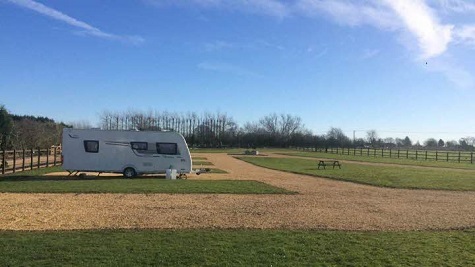 Facilities : Open all year, Electric hook up available, Easy access, Suitable for Caravans and Motorhomes, Hardstanding pitches, Scenic views, Toilet, Shower, Dogs allowed, TV reception good. Very well spaced pitches and all hard standing. Entrance is very secure through an electric gate.The spotless toilet and shower are super and worth the additional fee. Very peaceful and relaxing. Supermarkets and shops are not far away. The great asset for me was that its only a couple of miles from j14 on the M6 which makes it very handy but there is plenty of activities around to fulfill an extended stay. We stayed at Stable Park for one night in June 2018 to break our journey up the M6. It’s only a couple of miles off the motorway but is very peaceful. Note, it can be reached from either jcn 13 or 14 of the M6 and is closer to 14 if you’re travelling from the north. There is a Marstons pub/carvery not far away on the A518 near the Staffordshire showground and it was excellent. Having been on the road most of the day, it made a welcome break. Being quite new, the site is pristine and not as bare and stark as some of the pictures suggest. It was very pleasant as was the owner who has put a lot of thought and effort into producing a very good CL. The site adjoins a residential park home site also owned by Mr Thompson and the whole area is spacious with plenty of room for all. The electronic gates provide good security and there is a new facility block. Be aware, though, that it costs an additional £5 p/n to use it. I can quite see that this site would be a good base for touring the area and maybe we'll stay longer another time as we will certainly return. Well equipped site. Caring owners. The shower and toilets are now finished. It was a wet stay but the large pitches meant that we were OK and not much dirt in the van. There is a bus into Stafford at about 9.45 from about 100yards from the site very easy and there are some return buses too! Electric points for all pitches. 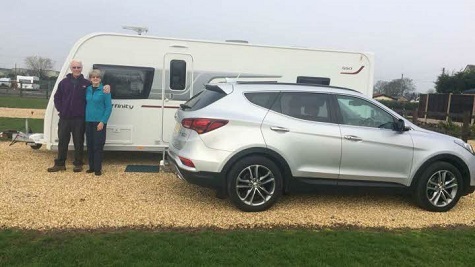 we use the site nearest to the toilet and were able to fill up the water from the nearby tap without moving the motorhome. Electric gate to the site easy to use, making the site secure and safe. Thanks for a good stay. Directions : From Stafford take the A518 towards Uttoxeter. After passing Staffordshire County Showground turn left down Within Lane signpost Hopton. Site on the left in approximately 0.75 miles. Turn into separate access track leading to CL and not the main entrance to the Mobile Home Park.